When we anoint a person with a title, generally the view is that this person is very much worthy of that honour, their mark in their chosen field is indisputable. So when The KLF in their unique wisdom proclaimed guest vocalist Glenn Hughes as “The Voice of Rock” on their 1992 hit “America: What Time Is Love?” it immediately made perfect sense. 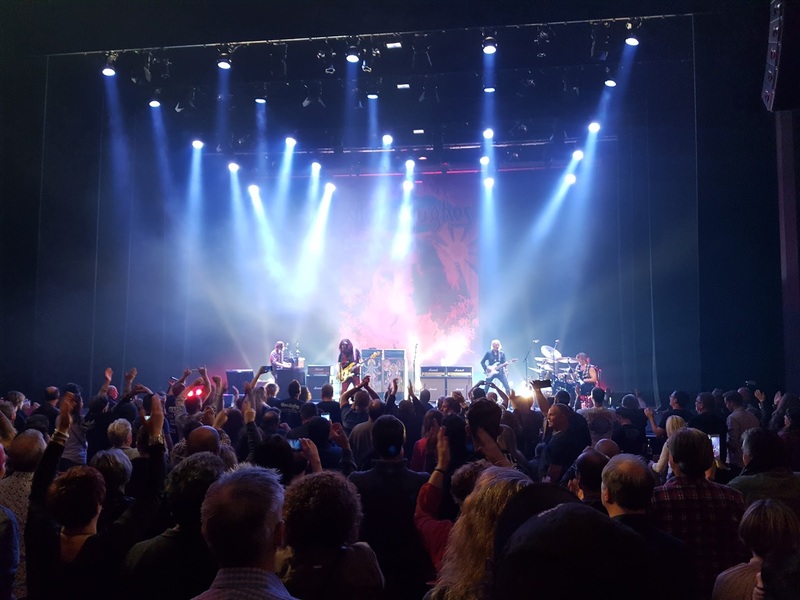 Hughes’s extraordinary vocal abilities are something to behold, especially in the live environment whereby he can truly unleash the full potential of his staggering vocal instrument’s capabilities, slaying audiences across the world with consummate ease. 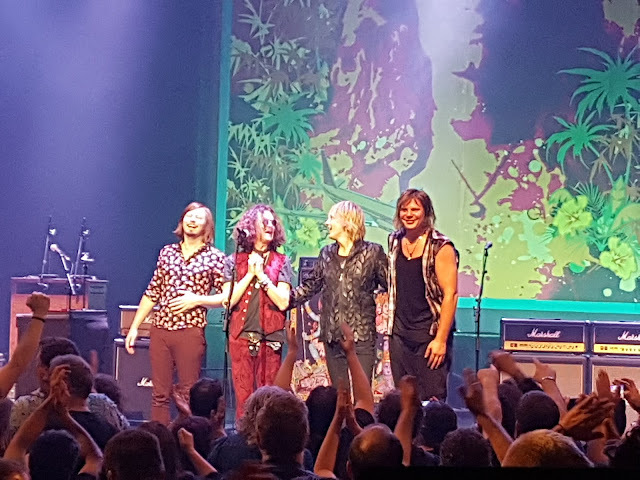 So when it was announced not long after, that Hughes would be returning to these shore, playing the music of Deep Purple, the band that firmly elevated Hughes to the upper tiers of rock royalty, getting tickets was, as they say, a no-brainer! Actually, this was the second time I witnessed this brilliant musician in the flesh, he toured in New Zealand recently as part of the ‘The Music of CREAM’ tour, playing chosen specific Cream songs that gave us a great display of his immense talent. 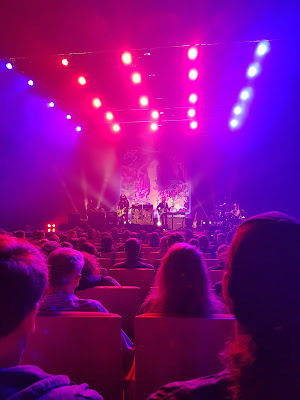 Couldn’t persuade my good lady to spend another evening in front of one of my all-time rock vocalists, so my good friend Merrin was more than happy to take that unwanted ticket and join me for the evening. From reading her Facebook post, I’d say she really really enjoyed the show on hand. For me though, it went much further than that. What I witnessed that night, I’ll never forget. 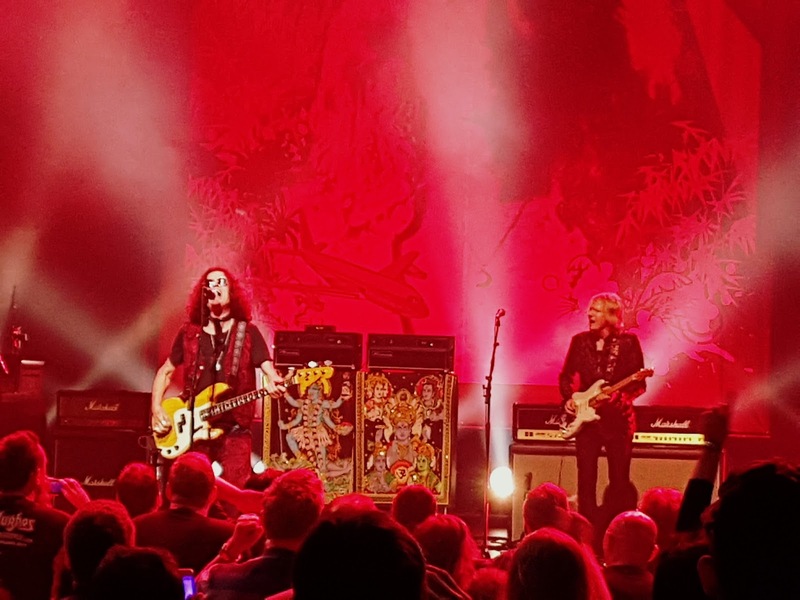 A Rock ‘n Roll Masterclass, from one of its best practitioners ever to hit a stage. People, a rock vocalist of 65 years of age shouldn’t, by rights - be that bloody good! Unfreakinbelievable! His complete mastery of his god-given instrument, his voice, is something that any self-respecting fan who calls himself a fan of ROCK should not, I repeat should NOT, miss the opportunity to witness firsthand. High notes, low notes, soulful notes, bluesy notes, SCREAMS! Yelps, Jazz notes, sustain like you wouldn’t believe. My god, he can do it all. With stunning ease. Phew. Hughes promises to be back again next year. I’ll be hovering over a keyboard on the first day that tickets come online. No idea whether he’ll do another tribute to Deep Purple, but it won’t matter. You’ll be schooled in a masterclass of rock that will be unforgettable. Not only was Hughes on fire that night, so too, was his astonishing band. Swedish Man-mountain Pontus Engborg’s drumming was raw, brutal, savage, yet beyond that power, was tacit evidence of a superb ability around the drums. Even the dreaded drum solo was more than bearable! The epitome of Cali-cool, veteran LA session/touring Guitarist Jeff Kollman unleashed an impressive arsenal of techniques that drew many varied sounds from his various guitars. Bluesy, progressive, and biting sonic tones were but a few of his superb skillset on the guitar. Last, but by no means least, the flamboyant Aussie, Lachy Doley, a showman par excellence! He has been called by some, the ‘Jimi Hendrix of the Hammond Organ’. Like Hughes’s title, this title fits Lachy to a tee. 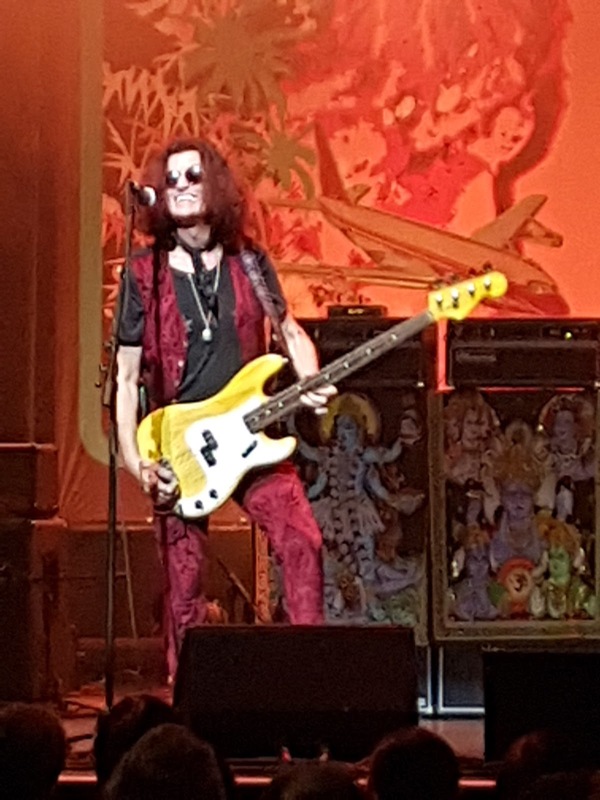 What a performance, my eyes were glued to him - when they weren’t focused on Glenn Hughes! A sensational talent on Keyboards. Clearly, the spirit of Jon Lord resides within his lithe frame. Final Thoughts: Given what I’ve written above, the question I’d ask of myself “Would I go and watch Glenn Hughes live in concert again?”, the answer should be glaringly obvious to you readers. He and his magnificent band performed these classic Deep Purple songs with utter distinction and manifest joy. His love for his audience was infectious, so too, was our love for him. 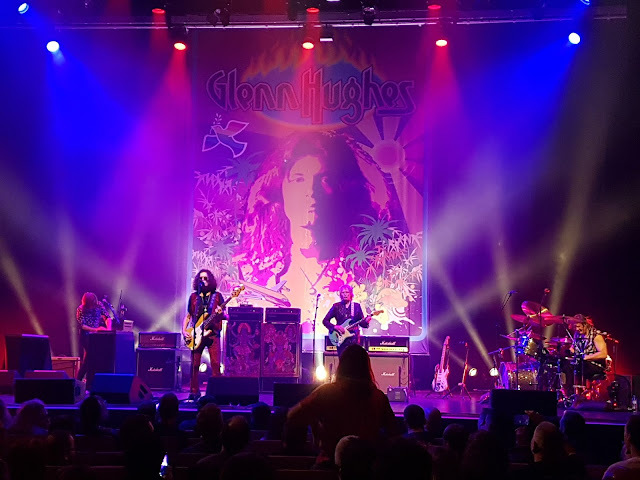 If you think about, the title of his first major band’s (TRAPEZE) fantastic third album ‘You Are the Music… We’re Just the Band...” is a great way to sum up Glenn Hughes’s musical mindset. He feeds off us, we get in return that rarity - a genuine, heartfelt performance that cuts straight to your heart. 'The VOICE OF ROCK' - giving his all - and then some!